It’s finally here, the culmination of the DCEU, the first time Batman, Wonder Woman, Aquaman, The Flash, Cyborg and (surprise) Superman unite on the big screen. Firstly, there will be spoilers (lots of spoilers) so I suggest reading this after you’ve seen the movie. 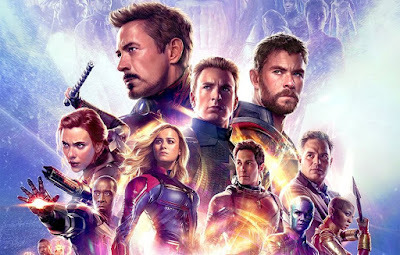 I’ve done a quick spoiler-free summary of my opinion on the film overall below, but the meat of this blogpost will contain spoilers, so you’ve been warned. I always find it hard to review a big blockbuster immediately after I’ve seen it, especially one’s that I’m highly anticipating. As my expectations tend to be extremely high and based on fandom of the material I automatically have preconceived notions of what should or shouldn’t happen. 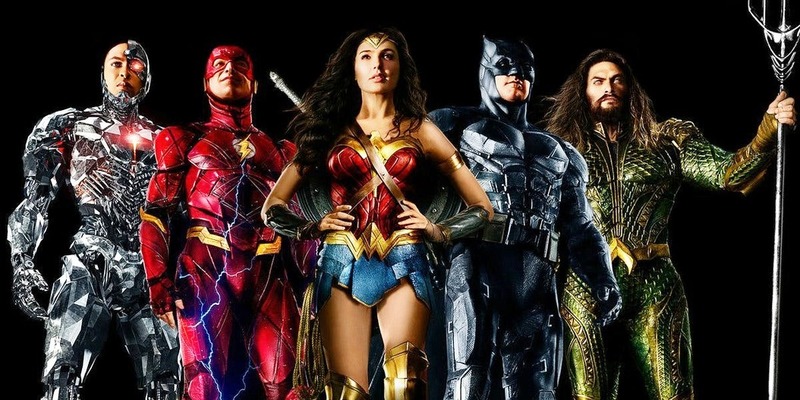 Saying that, my expectations for Justice League had been somewhat tempered, the previous DCEU movies have been very mixed in quality and there’s been various things going on behind the scenes that led me to be concerned about Justice League whilst it was being made. I didn’t hate it but I didn’t love it either, it’s just ok. It didn’t do anything particularly bad that offended me as a fan (ala Spiderman 3), but I also didn’t leave the cinema overly hyped (ala The Avengers). I enjoyed it whilst watching it, but it is a bit of a mess and arguably somewhat forgettable, which obviously isn’t the reaction Warner Bros would want, but I’m not going to hate on the film. We know it was made under difficult circumstances and they’ve salvaged it to deliver a watchable and somewhat enjoyable film. It’s just not the momentous event movie you’d expect when bringing together these characters for the first time. So ultimately it's another movie in the DCEU that is a disappointment and leaves me thinking of what could have been. It’s length – at under 2 hours it flies by, and although some scenes feel a bit rushed I don’t think I want a longer version of this "version" of the film. I just don’t see an extra 30 minutes making this particular version of the film any better (like the Batman v Superman Ultimate Cut did). That being said, I would love to see an alternative cut of purely what Zack Snyder had envisioned for the film, one that didn’t get too changed by studio interference or Joss Whedon coming in. The characters are generally great – I didn’t really have a standout, I think all the characters and their interactions worked fine, they have some odd one liners that have clearly been added but overall they all worked and interacted great. Ben Affleck’s Bruce Wayne / Batman feels like a completely different version of the character from BvS, but this isn’t bad, just different. The music – it’s not in the same league as Han Zimmers work, but I liked the old school comicbook tunes created by Danny Elfman for the movie and loved hearing the original Batman (89) and John William’s Superman (78) themes included. Gotham City cityscape – the opening scene features Batman hunting a Parademon on the rooftops of Gotham. However this is the first time I’ve ever seen the true comicbook version of Gotham realised on the big screen. It looks like it was taken directly off the page or out of the Arkham computer games, loved it. The marketing held back the surprises – despite releasing 3 trailers and some very long promotional footage at two CinemaCons, there were lots of things in the trailer that we hadn’t seen. Superman, Steppenwolf, Green Lanterns, etc. However you could argue that the reason they didn’t show Superman or Steppenwolf was because neither of them look particularly great in the finished film… There are clearly scenes used in marketing that were cut, but it feels like we're getting alternative versions of most scenes, rather than sequences (that were in the trailers) being completely cut. It feels like a comicbook – or more specifically a live action version of Batman The Animated Series, especially the early scenes in Gotham. However this more comicbook tone does sometimes border on corny, and significantly conflicts with the earlier films in the DCEU that felt more real and cinematic. The tonal clashes – it’s not as bad as it could have been, but you can definitely see a clash, mostly in the imagery. In terms of cinematography, you have shots that look very Zack Snyder and wouldn’t look out of place in Man of Steel or BvS. Basically these shots look layered, well constructed and very cinematic, but then there are shots / scenes which look like they’re from a bland TV show or with unfinished visual effects (I’m guessing these are the Joss Whedon / reshoot scenes). In terms of the banter and quirky dialogue, this doesn’t stand out too badly as it features throughout the film and I assume Snyder was already beginning to integrate this into his version of the film before Whedon was brought in to add even more. Though a line from Batman saying he thinks “something is definitely bleeding” feels completely out of place and out of character. The lighter tone also stands out significantly compared to Man of Steel and BvS. Yes, I know a lot of feedback from the previous films was they were too serious / sombre, but it really feels like a completely different franchise now. Warner Bros are clearly trying to copy Marvel and it now just feels like a weaker version, at least the serious tone gave the earlier films a sense of differentiation. I think Wonder Woman managed this better, it was lighter in tone but still felt part of the DCEU overall. Reshoot continuity – in addition to the above, there are some more obvious giveaways that this film went through reshoots almost a year after the original shoot. Most obvious things being Ben Affleck wearing a wig or fluctuating weight in some scenes, Superman’s face (see moustache below) and characters saying response dialogue that was clearly added later as you can tell they’ve been superimposed back into scenes where they weren’t recorded originally. The Russian family - I get why the family were added, the location of the finale is supposed to be in an abandoned town so it wouldn't have many stakes for our heroes with out some "civilians". But to be honest it's just slows the film down every time we cut back to them, I'd have rather cut them completely and used the extra time to expand on Cyborg, Flash or Aquaman's back stories. The Lois / Martha "Thirsty" scene - it feels completely out of place, looks completely different to the rest of the film and adds nothing to the narrative. As above, cut it and use the extra time to expand the stuff we actually care about. The post-credit scenes – I’m so disappointed with these, this kind of relates to my point about expectations, but I’d seen lots of people tweet how good these were, I was certain they were related to a Green Lantern tease or a Darkseid set-up. No such luck... we get a comedic scene between Superman and Flash having a race, and then a scene with Deathstroke and Lex Luthor. Ok, Deathstroke looked very cool... I've written up the full Justice League post-credit scenes description here. No black suit – following on from the above, in the comics when Superman returns from the dead he has the black suit. I thought this was a clear opportunity to be included in the films but again no such luck. I'm surprised, as i'm pretty sure Henry Cavill teased the black suit on his Instagram during the original production. Superman’s moustache – yes, it’s noticeable. If you didn’t know, whilst filming the reshoots Henry Cavill had a moustache and they had to CGI it out. 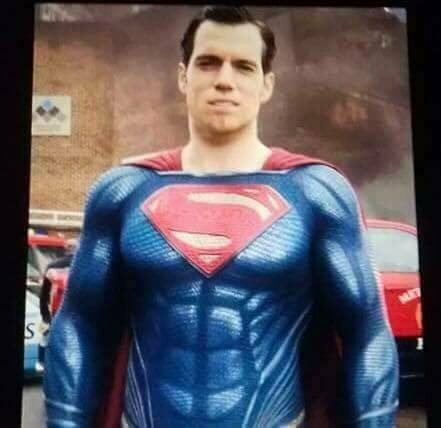 As a result, Superman’s face looks a bit off in the scenes that were reshot. However, what’s surprising is this is for almost every scene that Superman is in, which makes me think almost everything featuring Superman in the finished film is from the reshoots. 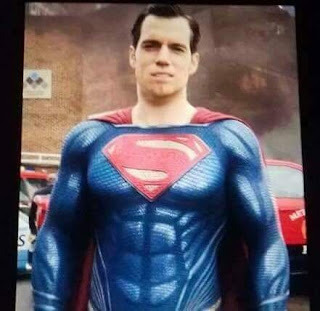 Superman’s costume – this also looks weird, it’s super bright compared to everything else in the film and includes loads of fake looking muscle contours. Not a huge fan, preferred the older version from Man of Steel and BvS. Steppenwolf – a very generic villain that just wants to collect the Mother Boxes to create almighty power (and take over the world?). I’m not really sure, it’s not explained clearly, I think in the original version of the script Steppenwolf was going to summon Darkseid (who would then have been the villain in (the then planned) Part 2), but as the film has clearly changed throughout production his motivation are somewhat blurred. Also, being completely CGI doesn’t help him to feel threatening or intimidating. Unfinished CGI – there’s some very poor CGI in the film. A lot of the action scenes and big moneyshots are fine, but it’s the sequence when actors are clearly on green screen and just badly placed into CGI areas that really stands out. 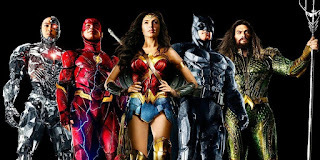 Well, that's my initial thoughts on Justice League, I may blog a follow-up blogpost once I've seen it a few more times, but for the time being that's my initial thoughts. Good review mate. Pretty much how i felt and i touched on how DC gave tried to follow Marvels blueprint was ultimately their worst mistake. Superman not wearing his black suit after death also bummed me out. His return very very different to the comics but with Pa Kent dead already and having Cyborg Superman et al included it would have gotten way too complicated so can see why they changed it although in my opinion not neccessarily to a great method. Steppenwolf as i gathered it was a consumer of planets using the energy to send back to his home world. He mentions in the film that taking earth would please Darkseid so it was a soft set up of sorts for something we know is coming. Im not sure how i feel about no official Lanterns yet. Although we have confirmation of their existence we didnt see Hal, John, Alex or whoever they are going with introduced formally. While disappointing as a fan its nice they have left something for us still to wonder about and look forward to. Loved the Deathstroke cameo at end and now we will see the Injustice League. My money on Black Manta, Sinestro, Bizarro and a couple of Batman villians. Maybe even The Joker again.